It is certainly true that organizations can, and do, revive dead products. Case in point – Nintendo. Before the Wii, Nintendo struggled to compete with Microsoft and Sony in the Game Console Race. Microsoft and Sony burned Nintendo every year in sales, game production, and user satisfaction. Until the Wii. Once Nintendo’s revolutionary gaming console hit the market, the Nintendo empire regained its dignity and was finally able to complete with its rivals again. Products that have gone by the way side or that have an associated stigma can be renewed but most product revitalization initiatives fail big time. Most companies don’t get it right. Most dead products don’t come back to life. And Hotmail is one of them. 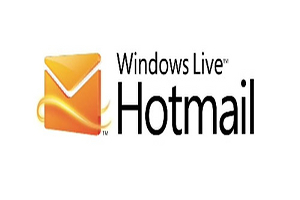 Hotmail, Microsoft’s web-based email system, emerged during the .com boom and was widely popular. But then, something happened. Somewhere during the late 1990s to early 2000s, Microsoft stopped caring about Hotmail. They became static in their approach to email. When Gmail hit the scene, Microsoft remained uncompetitive. When Yahoo! revamped their web-based email client, Microsoft did nothing. Sure, maybe Microsoft jacked up the storage space limit or added a small feature here or there but they did nothing to compete with the likes of Google or Yahoo!. In fact, most Hotmail customers have stopped using the service as their primary email and, instead, use it as a spam box for online offers, newsletters, and junk email. Basically, Hotmail is the trash can of web-based email. Now, after the success of Bing, Microsoft has integrated a boat-load of features into Hotmail, ranging from social networking tools to email filtering. The email service now can complete with Google and Yahoo! in the web-based email race. Will Microsoft be the next Nintendo? No. Unfortunately for Microsoft, saving Hotmail is a worthless move that won’t pan out. Fortunately for you, a few things can be learned from this last-ditch effort to save a dead product. First, the lines have been drawn. Internet users already have stereotyped Hotmail to be a tool for spam, hacking, and anonymity on the Web. This isn’t going to change. The Hotmail brand is forever regarded as the inferior product to Gmail and Yahoo! Mail. This teaches us that once a customer or potential customer has a perception about your product, whether its real or not, its tough to get them to think anything else. Sure, it’s possible but not common. Take pride in the perceptions your brand sows and make sure that you address them in a timely manner – not a decade after the fact. In addition, Microsoft’s attempt to revamp Hotmail shows that when the going gets tough, the mediocre join everyone else. Microsoft isn’t doing anything revolutionary; they’re pretty much recreating the efforts of Google and other web-based services. Instead of going along with the crowd, Microsoft should have reinvented web-based email, much like Nintendo did with gaming. If you’ve fallen behind the competition, don’t join them to compete – outdo them. 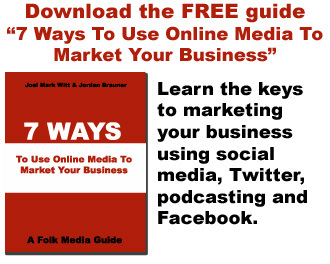 Want to win back some of the market share? Change the market. Revolutionize your industry and exploit the weaknesses of your rivals. Don’t just rebrand their product. I could be wrong about this whole thing. Microsoft might be able to regain some of the web-based email market with its new Hotmail. But, I have feeling it won’t. I have a feeling that Hotmail will continue to lie dead in cyberspace. Why? Because Microsoft isn’t offering anything new and Internet users have moved on from Hotmail. That was so late 90s. If you want to succeed in revamping your industry, go big and go different. Don’t follow the crowd and make sure that they’re working for you, not against you. No one else is going to make your brand successful. What are the stats for the major webmail providers? What % use Gmail, Yahoo! and Hotmail? @Jason – Good question. As of July 2009, Yahoo! Mail led the way with 106 million users, follow by Hotmail (47 million) and Gmail (36 million). Out of the top three, Gmail was the fastest growing webmail service while Hotmail was the most sluggish. Nearly a year later, I think it's safe to say that more people use Gmail over Hotmail. I don't think I will EVER switch from using Gmail now that it's such a big part of my life. Too many great features that work so well with other Google products. I think you are also correct that Hotmail won't regain the lead. Gmail did a radical thing in the beginning – they let you store 1GB of emails. That changed the game and people flocked over.